I made lots of interesting recipes in May, and towards the end of the month, I saw a massive increase in traffic on my Best Long Egg video. Now, I first posted this video back in February, and it got quite a lot of steady traffic. Before the spike started, it had half a million views. The spike lasted about 5 days, during which time it gained an extra 700,000 views and the channel gained a phenomenal 12,000 extra subscribers! But of course, with popularity comes some pretty brutal trolling in the comments - I have filters set up for certain words, but I do still have to look at these nasty things before I bin them. On the whole though, the reaction was massively positive and I am a bunny of happiness. 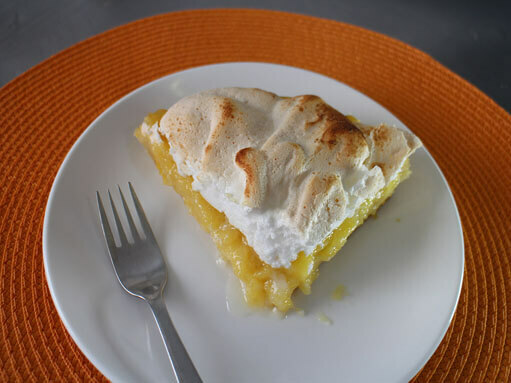 Lemon meringue pie is a delicious dessert. Buttery pastry filled with acidic lemon curd and topped with light, crunchy/fluffy, sweet meringue. Not the world's easiest thing to make, but well worth the effort. There are few things more satisfying than making your own bread. 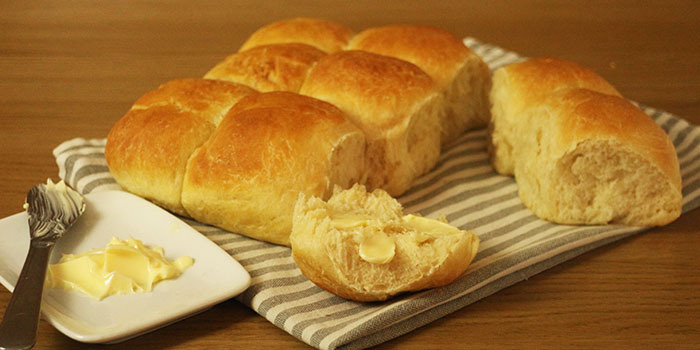 These soft rolls are really tasty, simple to make, and pretty much foolproof. I'm always suspicious of vegetarian things that try to mimic meat-based things. 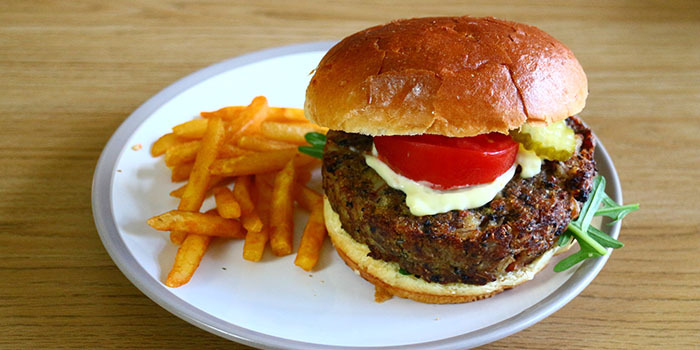 But with something as good as a burger, it's definitely worth a try! This recipe uses puréed black beans as the protein, pearl barley for bits of squidgy texture, and chia seeds and rice flour as binders. 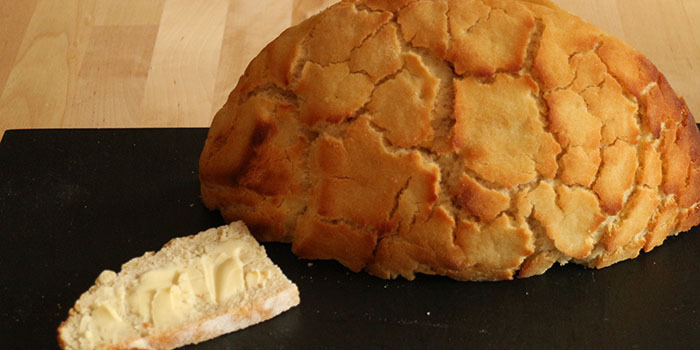 Tiger bread - or giraffe bread or Dutch crunch bread - is so-called because the cracked coating on its crust resembles patterned fur (but actually if your crust really does look like tiger stripes then you've probably made it wrong). Apart from the crust, this is just a standard white bloomer loaf - and a very fine one too! 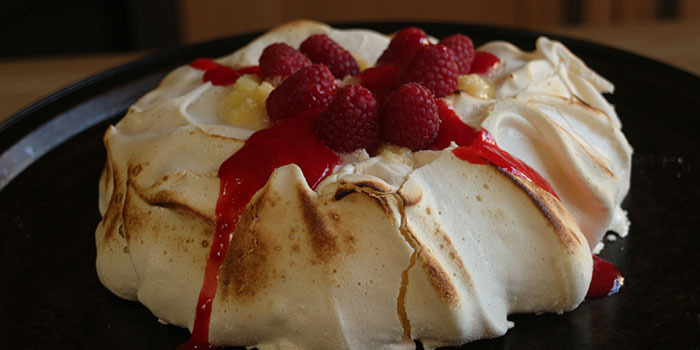 This amazing meringue-based dessert was created to honour the Russian ballerina Anna Pavlova in the early 20th century. There is some argument as to whether pavlova was invented in Australia or New Zealand, but whichever it was, it's absolutely delicious. 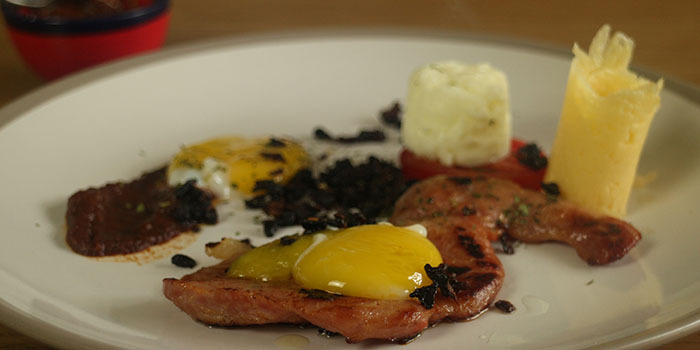 I wanted to try making a Confit Egg Yolk, which then developed into a kind of deconstructed Bacon and Eggs. The bacon is candied and cooked sous vide, and I also made a version of Brown Sauce. ...but Keef is also an obvious proof of a beautiful angel in a human being. His radiating kindness along with his shining enthusiasm to bring joy and practical/clever ideas to his viewers is what this world needs more of. Please continue to show us more videos so we can observe your pure hearted soul, straight through your beautiful eyes and cute mini-clumsiness. Me: My heart is melting... 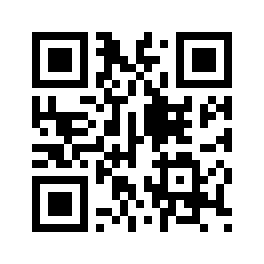 I'll overlook the mini-clumsiness crack - my clumsiness is epic! This is the best youtube video of all time. He is easily the cutest human being on the planet. Keef you and your wife represent everything that is right in the world. Oh, come on, I'm on a roll here! Also I delete all the really bad comments. But let's just say it would be nice if people paid attention to what I say in the videos. Especially on the Best Long Egg, where I used a length of perfectly food-safe polypropylene pipe. About half the population of America decided it must be PVC pipe, which really isn't food-safe. Most annoying. Oh, and there was the kid who said 'You're too old to be on YouTube'. To which I think I replied 'you're too young to be talking to adults'. Or something crushing like that.